Semonkong Lodge and the surrounding area offers a unique and adventurous landscape to explore on foot. 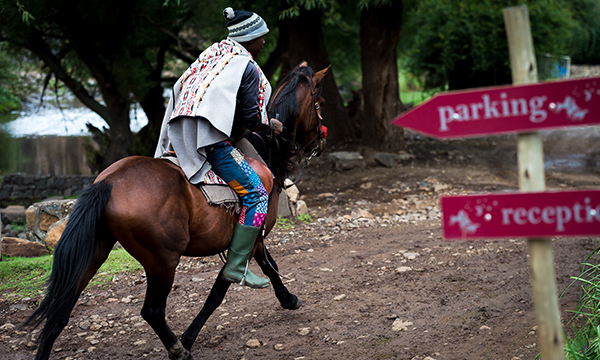 Single track trails or routes cut only by shepherds and their livestock boast a network hiking option. 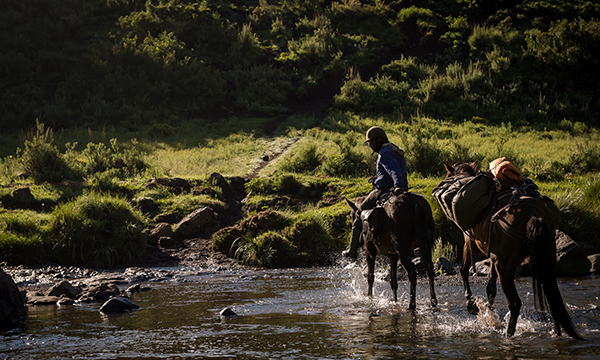 For the passionate explorer, Semonkong organises popular guided overnight treks to remote villages in the area with the use of Basotho pack horses to carry those heavy packs. ±3 hours return (Easy) – An easy hike to a viewpoint opposite the Falls to view the spectacular 186m single drop waterfall & gorge with its 300m cliffs. ±5-6 hours return (Medium-Steep and slippery when wet) – This hike allows you to view the Maletsunyane Waterfall from the front & from the edge of the waterfall. Following the river back to the lodge you can swim in many rock pools along the way. ±5-6 hours return (Medium)– A southern view of the gorge and Matsoku waterfalls. ±5-6 hours return (Hard – Recommended to take a guide) – A hike to the bottom of the Maletsunyane Waterfall. To see the Falls from the bottom brings its’ awesome size into perspective. This is a beautiful place to swim, trout fish or just to sit in awe of the power of time and nature. Ride up into the peaks of the Thaba Putsoa Mountains, seeing Alpine vegetation, remote villages, crossing the Ketane River and seeing its spectacular gorge. Hike from your village to the hidden Ketane Falls. Approximately 6 – 7 hours riding per day. Pass the Maletsunyane Falls and visit the traditional healer on the way to Ha Mojalefa. Spend the night with your host, Ntate Pethoka, the school Principal. He is very informative and teaches you many things about Basotho life. The next day ride back on the high road. Approximately 4 – 5 hours riding per day. 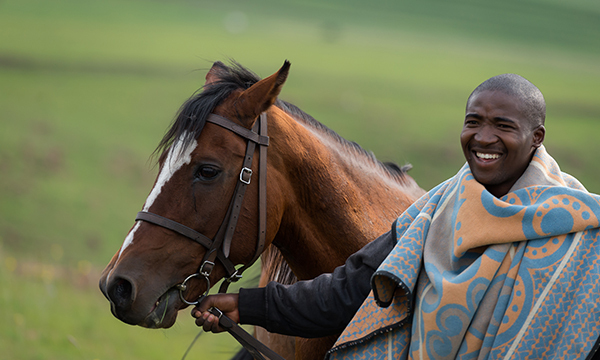 Semonkong Lodge works together with the local community, hiring horses, guides and traditional huts. A good jacket to keep you warm and dry- the weather in the mountains can be very unpredictable. In summer, bring a rain jacket and swimwear. Torch, sunblock and a hat. Bring your own lunch, something to drink & your own water bottle. The restaurant will do packed lunches on request. These will be packed into saddlebags, no daypacks needed. Please be advised that these treks go out to remote areas where there are no showers or flush toilets – only the bush or long-drop toilets (VIP’s – ventilated improved pit latrine). One may wash in a river or stream and wash basins are sometimes provided in villages… There is no electricity, only candles (provided by the Lodge) and if you have torches or headlamps. Catering is a separate entity to all treks. Should you wish the Lodge to cater for you, there will be an additional cost per person and this must be arranged prior to your arrival to the Lodge. Basic cooking equipment & eating utensils are provided by the Lodge.